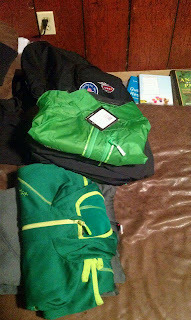 Let me Begin by saying that it is a true honor to be teaming up with Mammut. It has been wonderful so far and I hope to represent the company well. 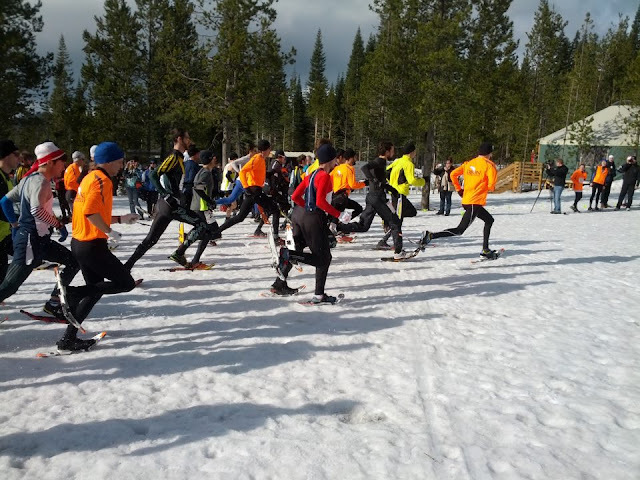 Here is my race recap from the USA Snowshoe Nationals this past weekend in Bend, Oregon where I was able to place 4th making the National Team where I will have the chance to race in Sweden next winter at the World Snowshoe Championships. 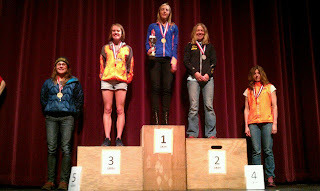 2013 USA Snowshoe Nationals In Bend, Oregon--Historic 4th Place Finish---Gets me on the Team! The Sights, The Sounds, The Experience! 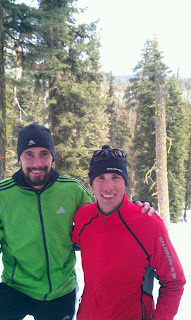 Here is a link to the Bend, Oregon Video coverage of the event highlighting Mario Mendoza. 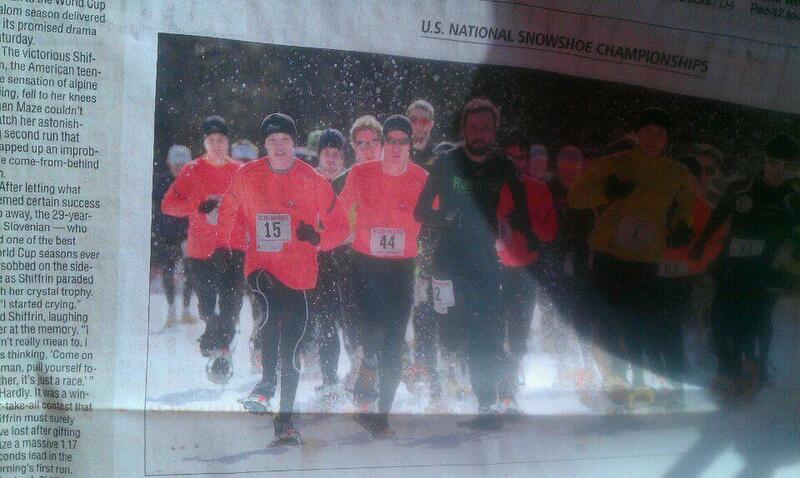 I appear at the start of the race on the far side striding to the lead and at the USA Snowshoe team photo. The Fast Start to the race. 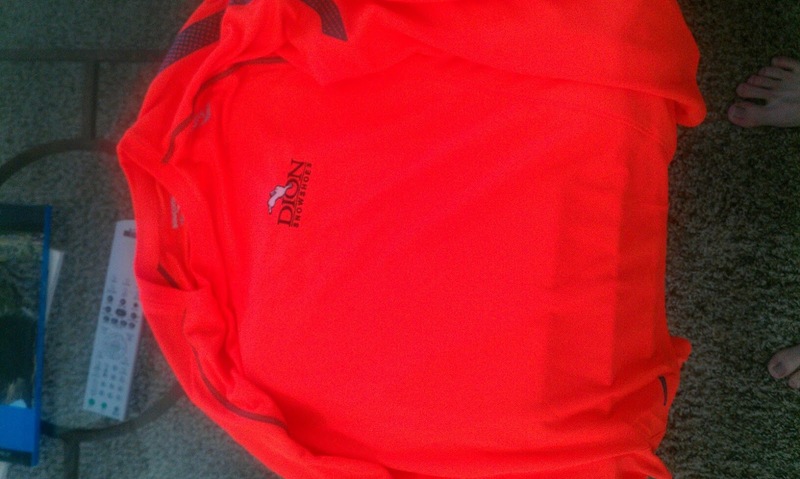 I am pictured right in the slight lead with the orange top and the Dion on my back! 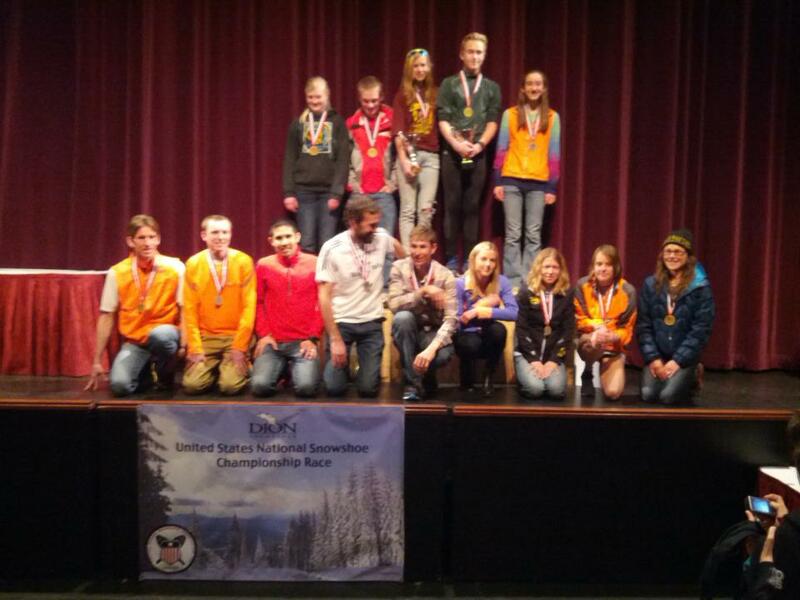 The US Men's Senior Snowshoe Team! I am pictured here by the Number 4! Excellent Photo by Joe Viger as I am picking people off going for fourth place! 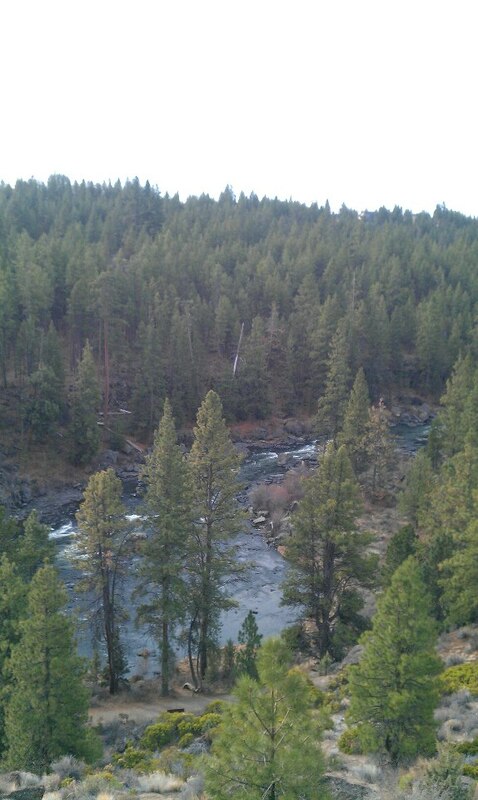 The whole trip to Bend, Oregon was a true experience of a lifetime! 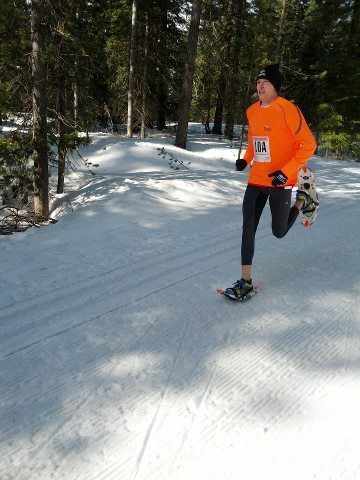 I have truly fallen in love with the sport of snowshoe racing. 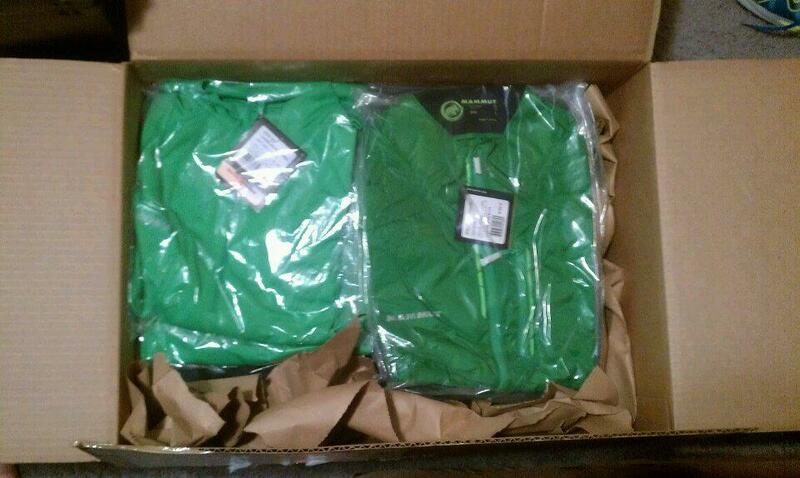 The running, the people, the experience is unlike any other collection in the universe. When it snows, go out and buy some great snowshoes! 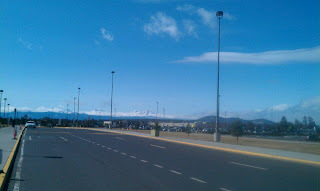 After work, Thursday afternoon, I drove to the Binghamton Regional Airport because I ended up with a last minute flight. I gave myself plenty of time which is nice though it was difficult finding the airport as you wind through the back-country roads of Upstate and it made me doubt my trip. Eventually, I zigzagged my way to the top of a high hill-top right where the airport was located. I will say that Binghamton has some incredibly nice staff and the whole flight situation with that airport went as smooth as butter and I might greatly consider Binghamton as my airport of choice. I hopped onto my plane at 5pm off to Detroit, then Salt Lake City, then off to Bend, Oregon. 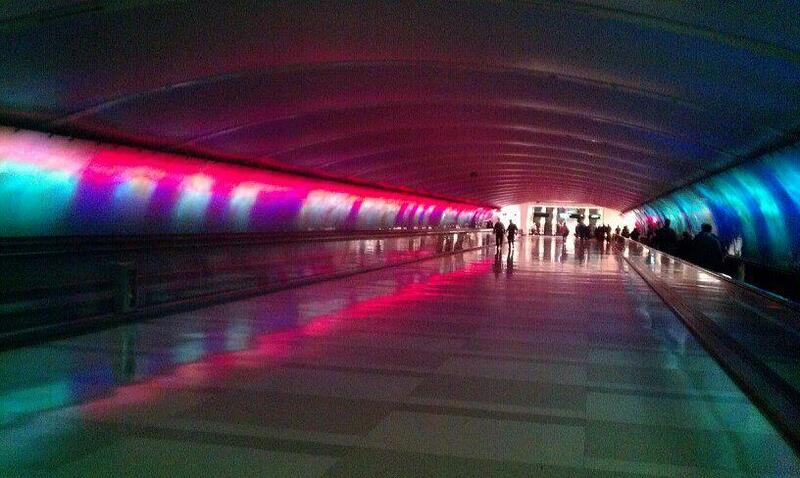 I flew into Detroit with only 20 minutes to make my flight. I was starving but I sprinted through the terminals to just catch my connecting flight. Thank goodness I run, otherwise, I would have missed that flight. I was so hungry at this point without having a solid lunch. At Salt Lake City, I sprinted to the nearest food stand and stuffed my face. I then boarded my last plane to Bend, Oregon. Pre-trip----I was to arrive at 11pm Oregon Time which would be like 2 in the morning in New York time so I was going to be tired. The moment I stepped off of the plane and headed towards the baggage claim, I was shocked to see all of the best athletes of snowshoe running: Brandy Erholtz, Josiah Middaugh, and Eric Hartmark. They are good! Look them up. We all got into the van our host Mark Elmore(Director of the USA Snowshoe Association) had for us. The conversation was a little awkward at times but little did we all know we would bond from such an incredible experience together. 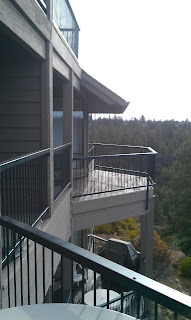 We made it to our luxurious condo nestled in the woods at the Mount Bachelor Resort. We got into our rooms: I had a sofa bed and it was off to sleep. Day 1---The morning came quicker than I would have liked. Bob Dion, owner of Dion snowshoes was up and at em with his wife Denise and they were planning on going for a run with a large group of people. Brandy was up and of course I was awake too. I asked Brandy if I could run with her and she said "Yes". Brandy has been an insanely great mountain runner in the US winning many mountain running competitions, and placing well at the World Mountain Running Championships. We went out along the river trail right by the resort location and the crisp morning air was cool but not as cold as it has been in Upstate New York. 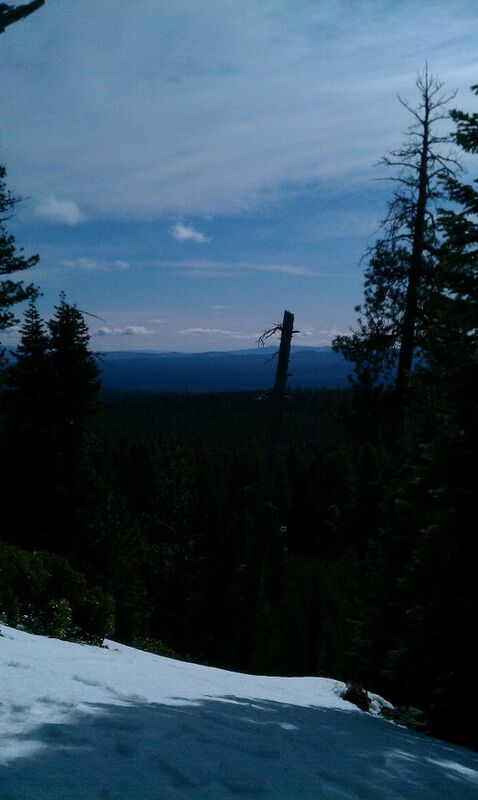 Bend, Oregon is also a town of about 80,000 and is a mountain town. 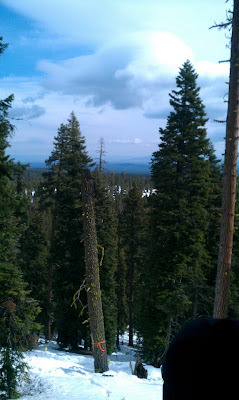 It has great high volcanic peaks that coat the horizon and the fresh smell of lush sugar pines coat the landscape. 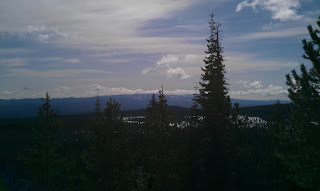 Bend to me is a place unlike any I have ever been to. 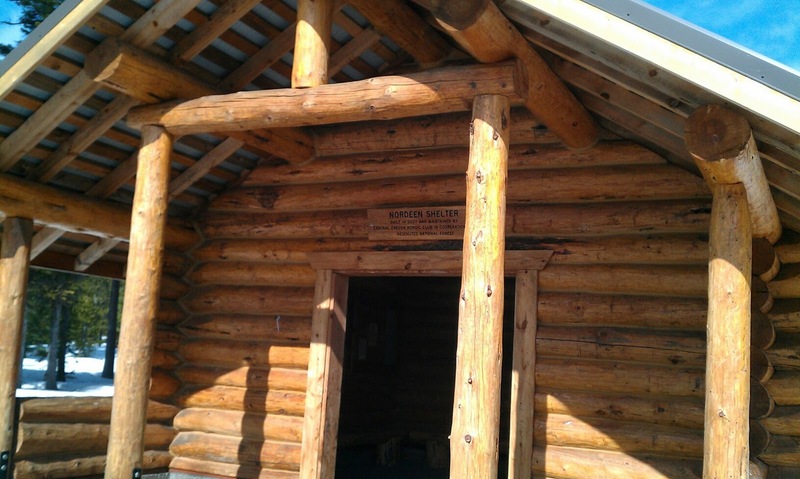 The lush pines coat the landscape, the buildings of Bend are new and often built with wood or to embody that wooden lodge theme, and the lifestyle here is laid back and organic. 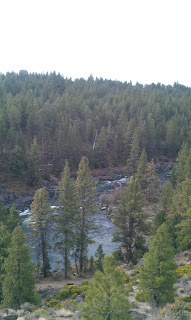 We ran on the river trail talking about ourselves, running up and down the hills with the large river rushing alongside of us. The run was only a shakeout--45 minutes in the books and then we had a photo opp with some of the Bob Dion crew after we got lost trying to find our place (all the buildings looked the same). 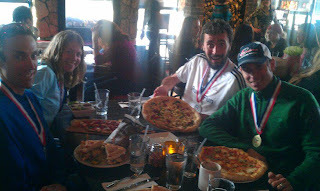 After the run, it was packet pick-up, media day, and the tour of the course. Tour of the Course: My initial views of the course was that it was going to be fast, the uphill was steep and the downhill section was absolutely crazy. 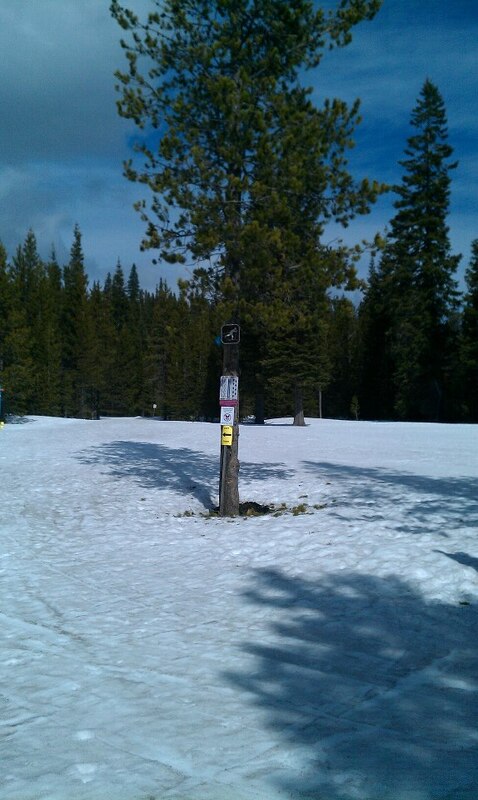 Brandi, Charlie, and myself kept post-holing through the deep snow. We trekked the course over an hour and it was nice to see the layout and get acquainted with the ups and downs, the terrain, and the views. This course had amazing views from the summit of the uphill and the sunshine made the hue of blues, whites, and the green of the pine trees embellish the landscape as a true snowshoer's paradise. After the snowshoe tour, we headed to the check-in. Josiah and Brandi had their interviews with the local Bend TV network as we picked up our packets and had the chance to window-shop around downtown Bend. It was fun just hanging out with everyone. We then headed back to our rooms then waited to head out as a crew for dinner. With dinner, we walked and walked around the town for quite some time until we decided to head to the Old Mill district and stopped at a delicious rice place. The food was soooo good. Had my rice bowl and a chocolate-dipped cookie that inspired the gang to all buy one. We then headed back after a long day and decided to rest up before race-day. Day 2--Race Day--- It was a beautiful morning at Messiner Sno Park. I felt ready to race and the weather was cool enough in the high 30's for gloves and tights but the sun was shining and the compeition was heating up. 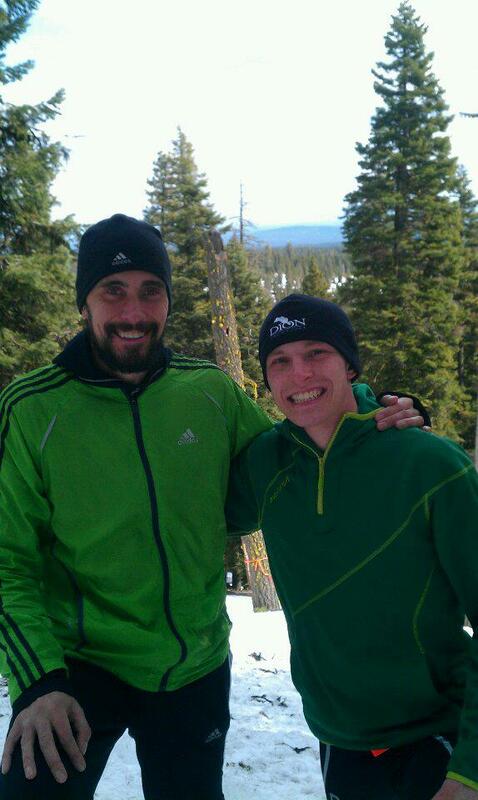 I warmed up with Josiah Middaugh who has been a six-time USA Snowshoe champion. This guy has won Xterra numerous times and is a real multi-sport legend. He talked about me leading the race and I laughed saying I would keep pace with him and Eric Hartmark, the two most seasoned athletes in the field. Over the course of a day, we had become close and had bonded. This whole experience for me was already a dream come true and just being in Oregon with great athletes made me feel like I could do no wrong. Whether I made the team or not was just secondary to the memories and the experience of running in my first true National Championship. 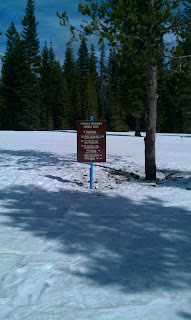 We stretched, warmed up, used the restroom, and did a little jogging and strides in snowshoes. 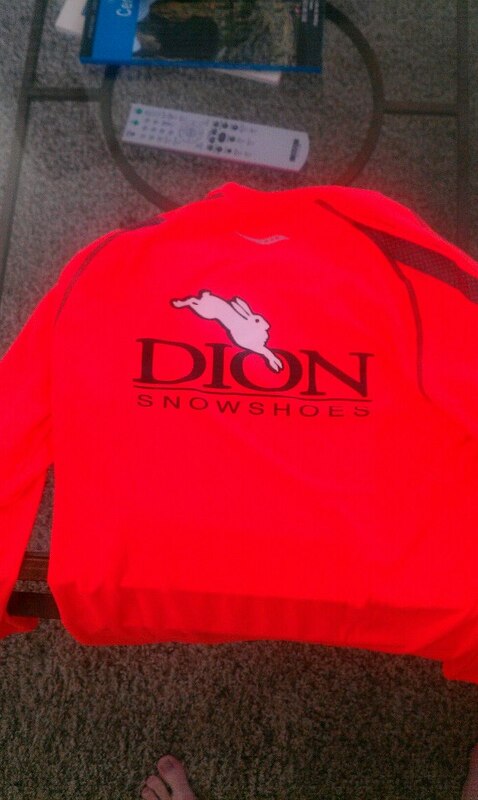 I was representing Dion snowshoes at the competition and proud to as well. 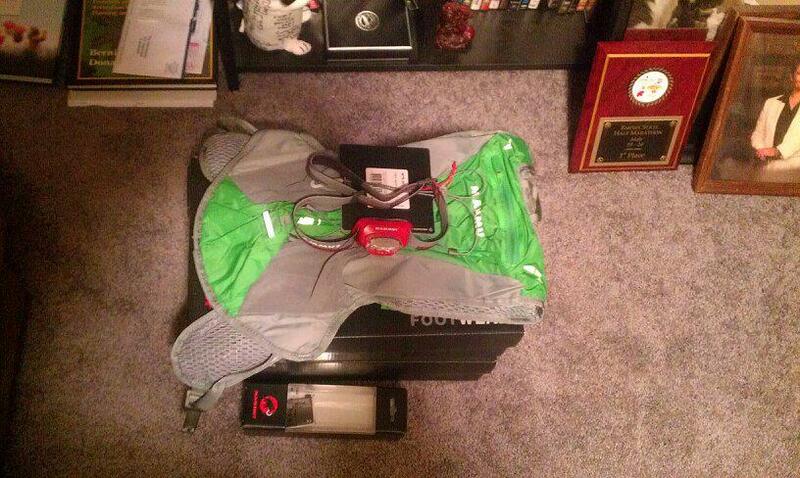 I also preached the love that Mammut has given me and the awesome apparel and trail running shoes they have made. I wore my Mammut Go-far Green Hoody religiously during the whole weekend to hopefully get some publicity for Mammut! It was race time and I felt ready to go! Everyone lined up, as the anticipation was building. I was enthusiastic and had the energy flowing through my veins. I was ready to race. With the blow of a horn, we were off! 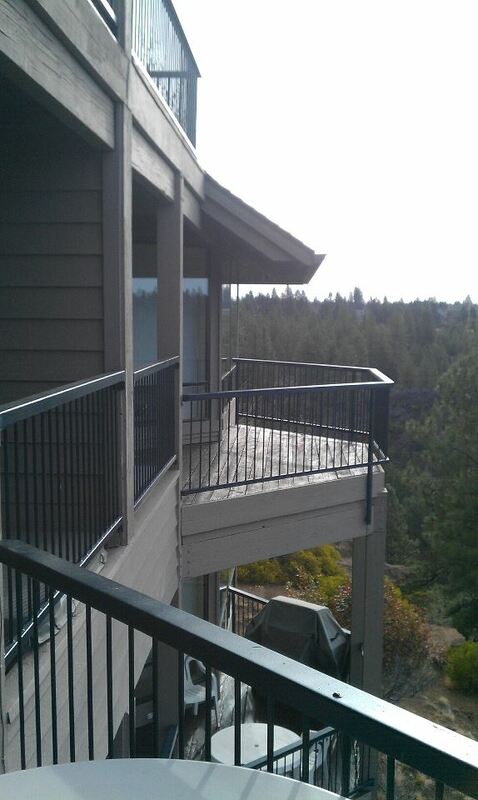 Photo taken from Bend Newspaper. I am in the orange far left! The race went out hard as we all settled into place. I tucked in behind Josiah, David Le Poro, and Eric. We ran really relaxed and smooth until the first steep uphill. I kept clipping Eric's snowshoe with my own and I guess I was raring to go. The first uphill, I decided to take it easy as the pace slowed into a crawl up the climb. Josiah and the crew separated themselves from me as Mario Mendoza shot out along side of me. Once at the top of the climb, the top guys had made some room on myself. I maintained my position up until the steep downhill. I slipped on the descent and fell down sliding down the slope about 2/3 of the way like as if I was on a sled. A few people passed me on my great skid as I regained my footing and bombed down the rest of the downhill section which had us lose about 1k of vertical feet at least. I started picking off a few competitors as we neared the 2 mile mark. This is where I made my BIG MISTAKE! I was supposed to make a right hand turn into a single-track section, but instead I ended up running through low flagging and heading straight on a nordic trail section that had no one on it. I noticed not seeing any ribbons indicating the course and turned back after a minute or two on the trail. I had people in my view as I entered the turn but then soon did not see them and continued forward, BIG MISTAKE! At this point I was frustrated. I had lost my chance to make the team as I was probably in 20th place. I kept thinking about my sponsors and family who did so much to help me with this trip. I just could not let them down let alone myself. I dug deep and entered a feeling of flow I have never been in before. My mind entered some primeval trance as my competitive instincts kicked in at full throttle. I picked up my pace into a snowshoe sprint. 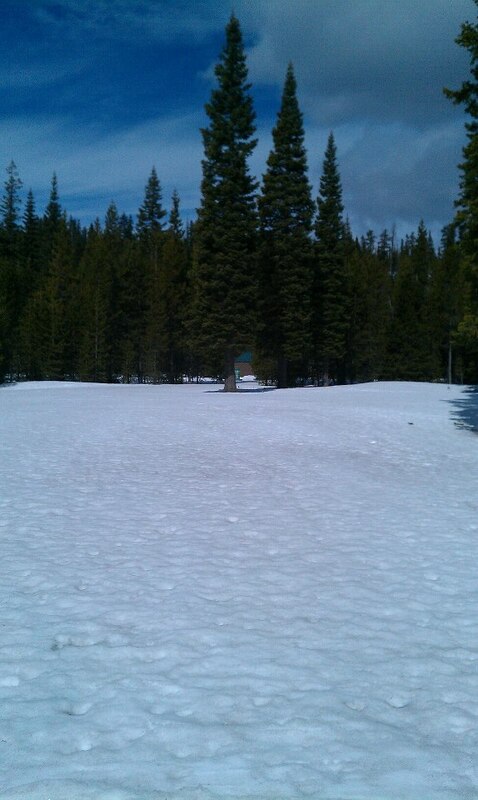 I was running the fastest I have ever run in snowshoes in my life. I entered the second loop catching and passing people left and right. 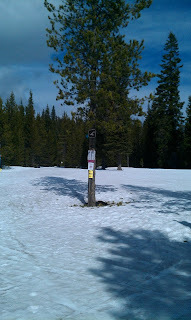 I bear-crawled up the steep uphill section picking off groups of 4's at a time. I was making up ground. At the top section I continued to pick people off one by one until the same section where I had made the wrong turn I entered it the correct way and then soon lost sight of people up ahead. I passed one more guy through the single-track section then it was just me and the woods. I was huffing and puffing from exhaustion. The altitude was tough and so was my pace. I was on a death march just praying to find the finish. I again veered off the course and then my mind entered an odd fog. I had lost my bearings and soon jogged in the wrong direction. 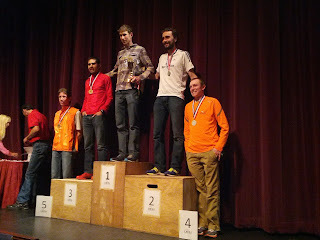 I suddenly stumbled upon the 5th place finisher and then tucked behind him as I knew which way was the correct way to go. He then mentioned something about 5th and then cleared the trail to let me pass. I was astounded. Was I now in 5th place. Earlier ago, I though I was in around 20th maybe worse and somehow I had battled my way into 5th? I turned up the jets and pushed the last single-track straight-away through the deep lush pines until I could hear the roar of the crowd. This had to be for hometown favorite, Mario Mendoza and so I knew that I was close. My pace was slowing as I used my last bit of energy. I pushed for every step until I came out of the woods and could see the finish line. I turned the corner heard my name called saying I was 4th! 4th? 4th? WHAT???? How did this happen???? I swear I ran a 27-28 first lap for my 5k and now I was the 4th place finisher. My time came to be 51:55 which with all things considered, was pretty solid. I kicked it in to the finish, crossed the line and collapsed to the ground in sheer exhaustion and disbelief. 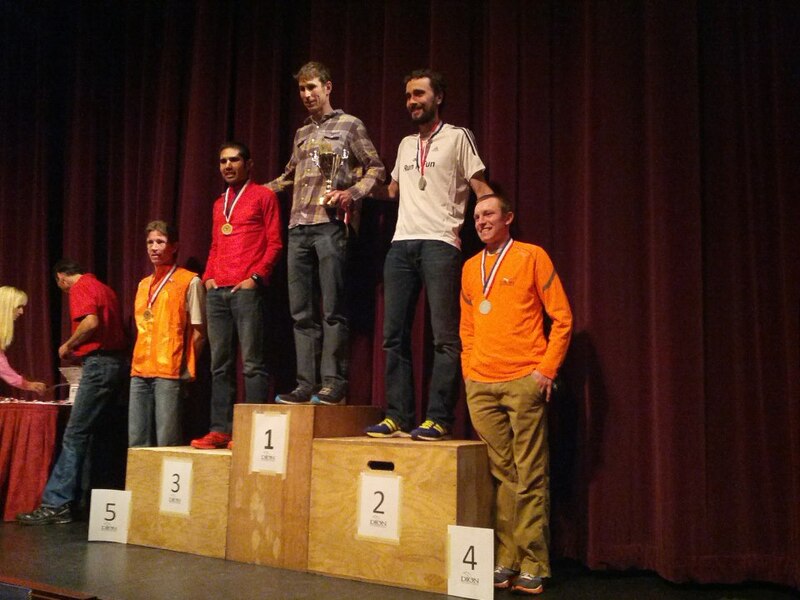 I had made my first National team running a stellar last 5k maybe in the 20-21 minute range on a tough course. I had done it! 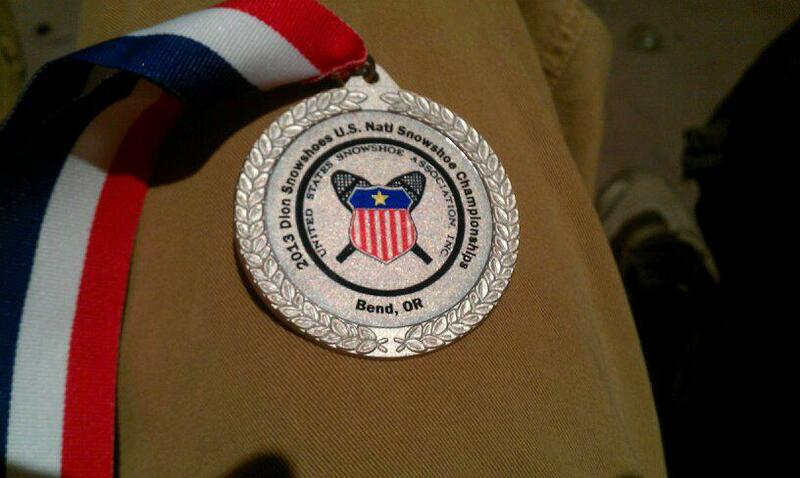 All the hard work, the training, the sacrifices, and I had reached my summit, as a Snowshoe National Team Member. I was shell-shocked. I could not believe what just happened. I had run from being so angry at myself for making a wrong turn to running the race of my life. I had done it. 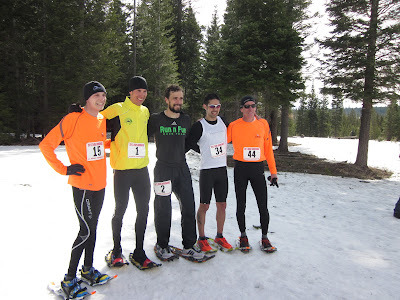 My first Snowshoe team in my first snowshoe season! I am still shocked at my performance and so happy it worked out. The whole Bend experience was amazing. Not only was the course beautiful with great high vistas of the surrounding mountains but the sharp downhill was enough to wear down the competition. After the race, it was officially time to shower and then get ready for the awards ceremony. The awards was a fun experience. We all met at the Tower theatre for the awards and we had the front row seating. Our crew did very well in the races as Brandy placed 2nd for the ladies and Josiah won the race, Eric placed second, and I placed 4th, all of us making the USA Snowshoe team! Mark Elmore led the way with the ceremony as we picked up our medals and had a nice photo op. I felt like a movie start getting my photo taken by tons of people it felt like some low-key version of the Grammy Awards. We finished the awards ceremony with medal in hand and decided it was time to celebrate our hard work! We decided to head back to the Old Mill District for some pizza and beer. The food was amazing and it felt great to share all of the experiences we had out there on the course. We hung out together and had a blast then it was time to go to rest for another day in the snow. The USA Men's National Team! 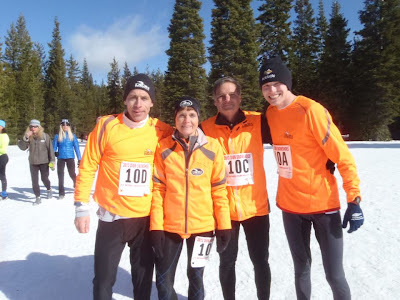 Day 3---- Relay Day---The next morning it was relay time with the Dion Snowshoe team. 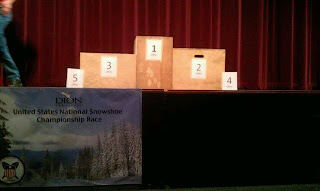 I was representing Bob Dion and Denise Dion on a solid relay team we happened to be very excited about. I began the race as the opening leg and with very well-deserved sore legs went out relaxed with a Paul Smith college kid. Each leg was only a mile or so which I planned to run the first half relaxed then stride in the last 800m. I hit the nordic section after the short single-track and then started increasing my stride. I rounded the turn and made the sprint for home. It was really fun to go out there and set up the team and everyone ran incredibly well. Our team placed third overall in the Open/Mixed Division which was awesome. 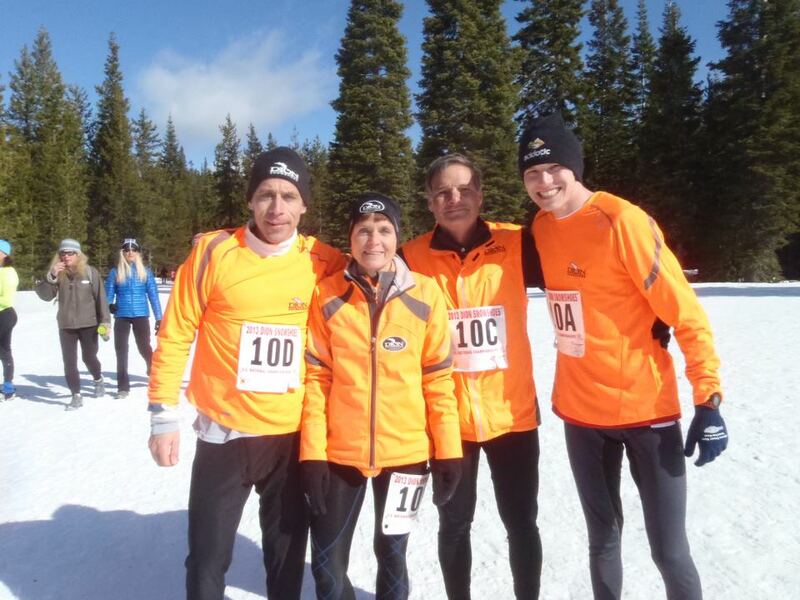 The Dion Snowshoe Mixed Open Team. After the race, we all hung out at the park and I won a Kahtoola snowshoe crampon system which I cannot wait to try next winter. After the relay, it was time to say my goodbyes. I packed up my belongings, hung out with Brandy and then loaded up to head to the airport. It was such a great experience that I will never forget. I had made such great friends in this trip with some incredible people that I will cherish forever. Brandy, Josiah, and Eric; when I first met you three, I was very intimidated with hanging out with snowshoe royalty but over the course of the stay, I realized what great people each one of you truly are. Bob Dion and Denise were so generous in helping me out with this trip and I thank them for giving me some fabulous Dion Snowshoes gear. I also have to thank Race Director Mark Elmore for helping out with lodging, transportation and for being in such great spirits on the trip. Tim, you also helped to keep the ball rolling as well as Richard Bolt for designing a killer course. I also want to thank my amazing array of sponsors: My family, Ashlee, my father, my title sponsor: Mammut Outdoor Sports, Karhu/Craft, the Finger Lakes Running Company, OK Runner, Chris Dunn and Acidotic Racing, Dion Snowshoes, Sierra Designs, and Smartwool socks for all the help and great gear, guidance, and motivation to perform at my peak level. Thank you everyone. Without your support, this dream could not have become a reality for me. Thank you! 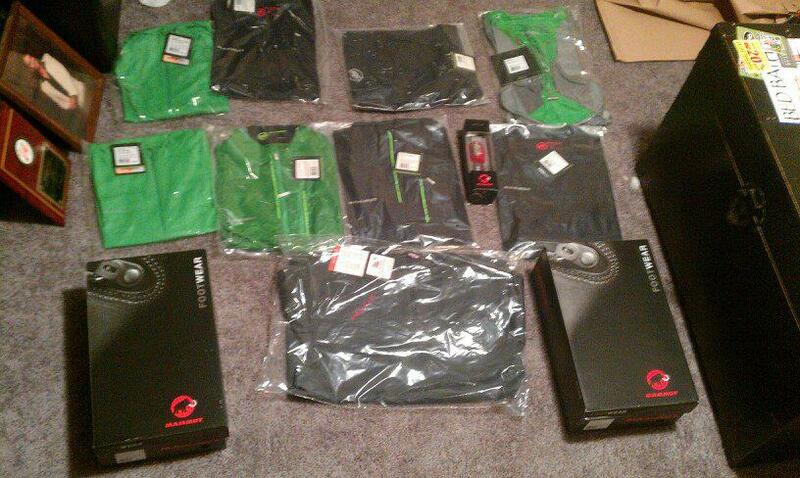 Mammut sent me my first care package as an elite trail/mountain runner! Here are some of the photos of the schwag! When I arrived at home from USA Snowshoe Nationals, I was lucky enough to receive my Mammut Pro apparel for this Spring/Summer Racing Season out on the Trails!!!! The order all pieced out. The whole order---cannot wait to try it all out. 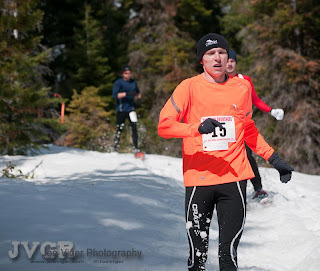 Next up on my schedule is the Syracuse Half Marathon March 24th and then I plan on beginning my trail running season May 4th in Salamanca, NY and then will try and peak for the June 8th Cayuga Trail 50 miler in Ithaca, NY which will bring some of the best ultra trail runners in the country. Thank you everyone and have a wonderful season out on the trails!!! !